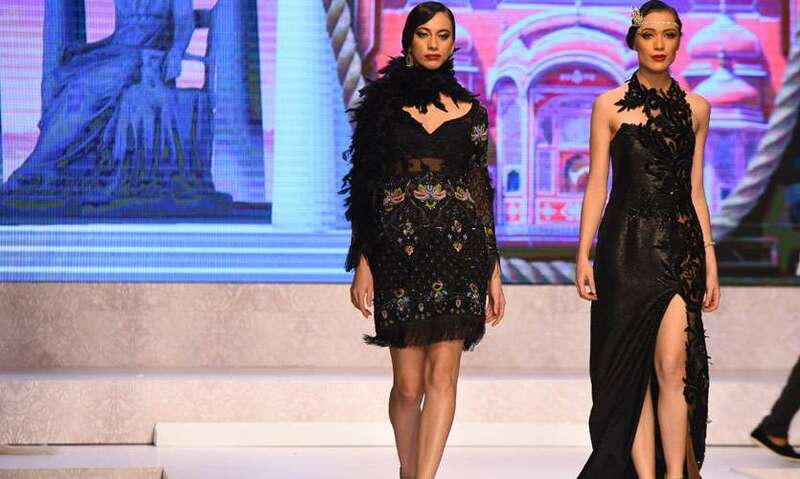 A fusion of extravagant eastern ethnic wear and western couture graced the runway as Anita Dorai and designer Kavita Thulasidas presented ‘Threads of Time’ a fashion show which exceeded its quotient in the glamour stakes. 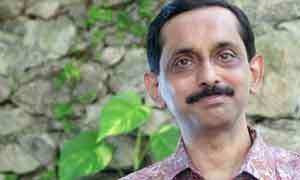 Anita and Kavita are both Singaporeans of Indian descent. 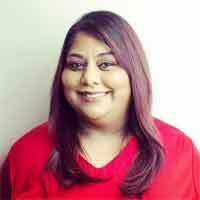 Anita now calls Sri Lanka her home and Kavita, the Managing Director of Stylemart Bridal Collect Pvt Ltd. is a highly respected designer in Singapore and is considered a design genius. 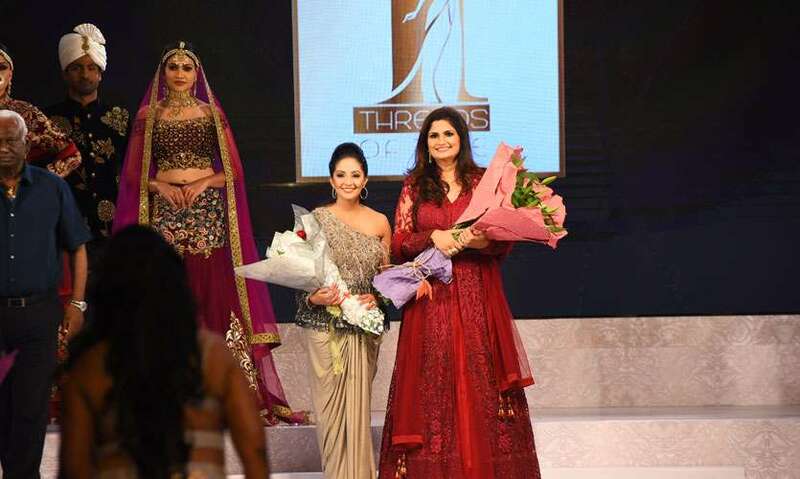 Threads of Time was a sleek production which showcased the amazing design prowess of Kavita. 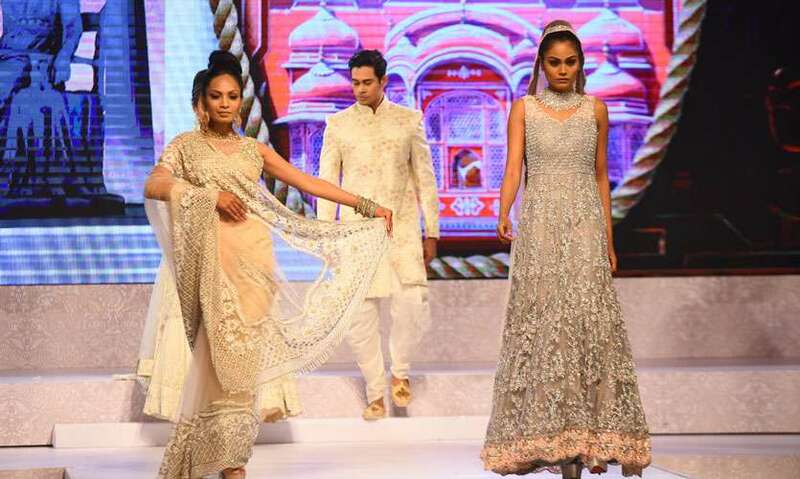 The show had five segments which were titled Celestial Beauty, The Greecian Goddess, The Mogul Rajput Era, The Gatsby and The Finale. Using a combination of silks, chiffons, satins and brocades, Kavita had created some exquisite looks which features embellishments and embroidery. Inspired by stories, tales and fables from the mythological past and love stories from different eras, the fashion show transported the audience through the various ages in a variety of silhouettes which darted from conservative to daring. Diminutive Kavita is a design powerhouse; within the course of 16 weeks she had created 95 spectacular looks which she presented at the fashion show. 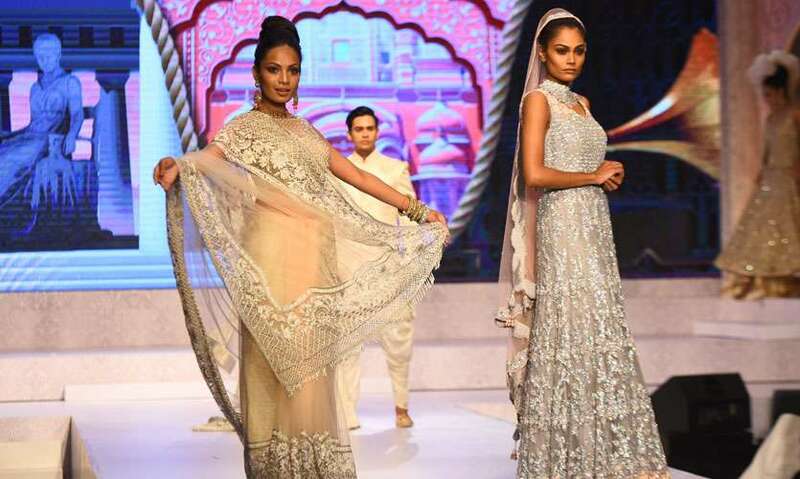 Saris, cocktail dresses, lengas, trouser suits and shalwar kameez suits formed the mainstay of her collection. 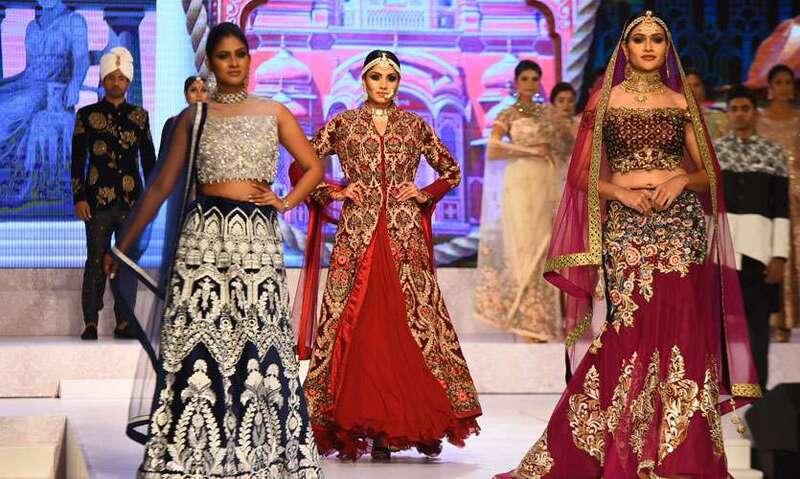 Jewel box colours of ruby red, emerald, sapphire blue and pink along with pastel shades and dazzling white were sent down the runway in varying silhouettes. Ethereal figures in embellished outfits dazzled as Colombo gaped in amazement at the intricate and ornate embroidery and embellishing on the outfits.